Big Tech Pulling The Strings. 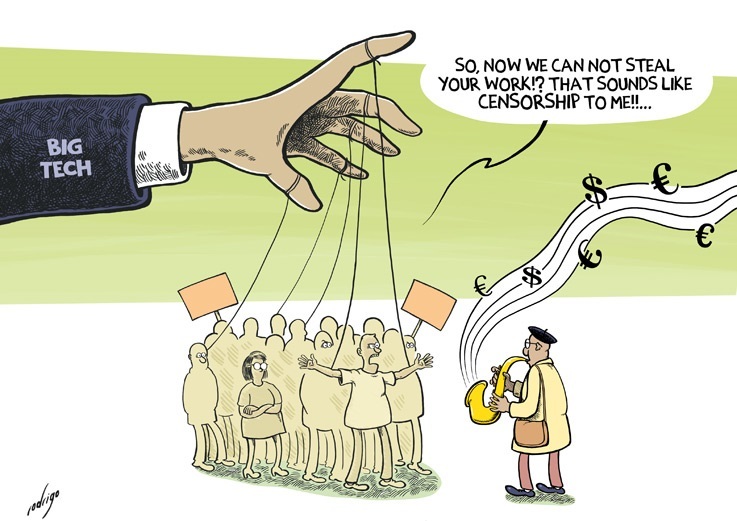 Big Tech is pulling the strings of a small choir. When not spamming MEPs, there are voices who incorrectly claim their right to free content is greater than the right to a fair wage and respect for workers’ rights. So long as big tech is funding “dark pattern” astroturfing, the consumer, activists (and clicktivists!) are all equally hoodwinked.